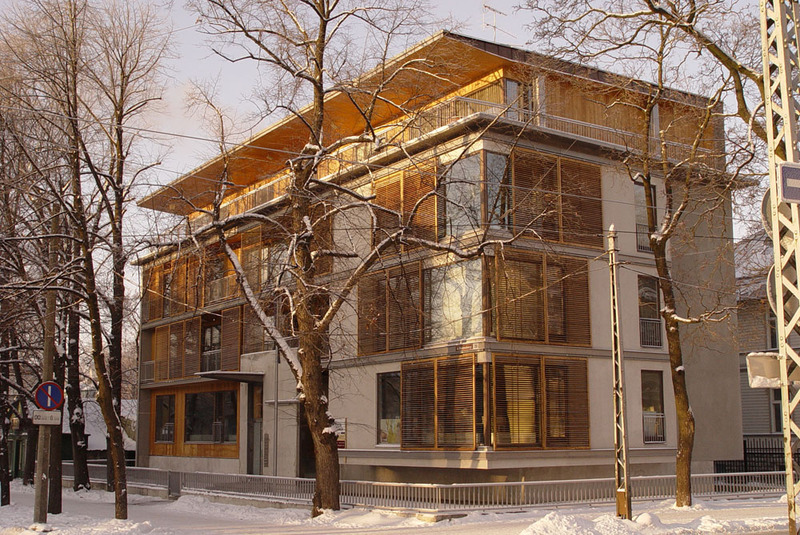 This high-end residential building is located in Tallinn’s historic neighborhood of Kadriorg, which is home to a large number of listed buildings dating as far back as the XVIII century, but also houses Estonia’s president’s residence and the Estonian National Art Museum. 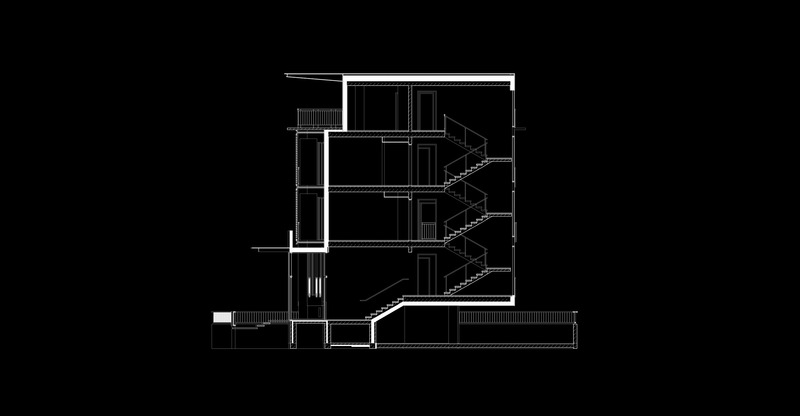 The main two elements defining the building were the open plan and the movable facade panels. By its structure, the building resembles an office building rather than a residential one: it’s floor heights are relatively high, allowing for a generous duct and piping space withing its section, while the internal walls are virtually absent and buildable on demand by the residents. 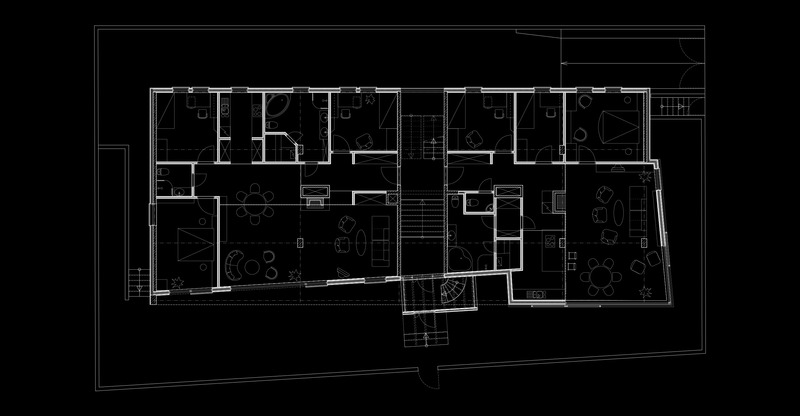 Thus, any single floor can be occupied by either one large apartment, or subdivided to allow for multiple apartments. 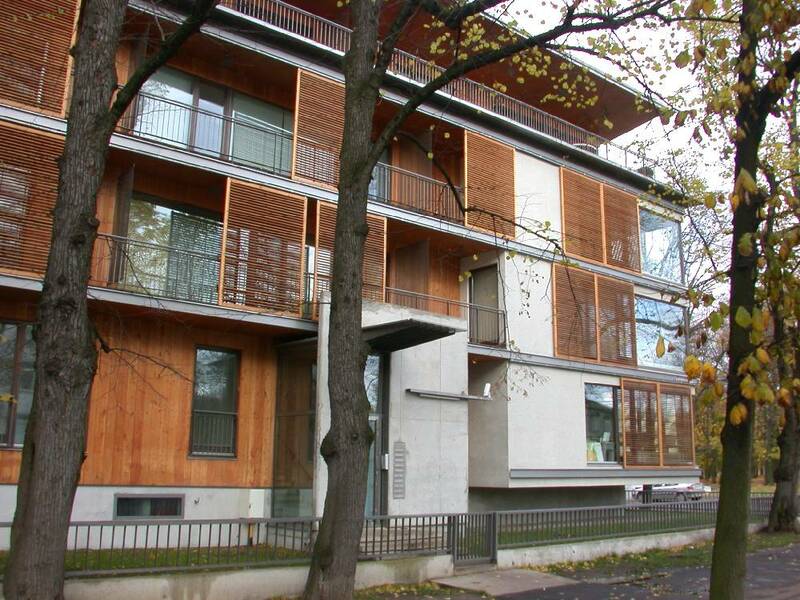 To support this flexibility, the facade is also kept very straight-forward and flexible: the southern side of the building, overlooking the street and Kardioru park, is almost entirely glazed and covered with movable timber panels to control insolation, while the northern side has thin vertical windows, set at regular intervals. The building height and bulk were restricted by the local zoning code, with a partially submerged parking lot located in the back of the building, underneath its northern facade, out of the view of the visitors to Kadriorg.